St Charles Village | Where the best is yet to come! St. Charles Village retirement community is an independent facility in Welland, Ontario where comfort, friendship, support and safety have been a part of everyday living for 31 years! Nestled beside the Old Welland Canal, you have easy access to the beautiful walking paths along the canal. Welland General Hospital is less than five minutes away and the Welland Wellness Complex is right across the canal. Centrally located – Only 15 minutes from St. Catharines, Port Colborne and Niagara Falls. 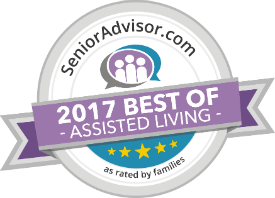 Voted One of the Top Senior Homes In Ontario for 2019! Respite, vacation and trial stays available from one day to several months! Living at St. Charles Village – What Does This Mean For You? Your Continued Independence, living in your own suite surrounded by your own personal belongings and decorations. Giving you the freedom to come and go when you want. Security knowing there is a 24 Hour Health Care on site seven days a week. truly care about your well-being and happiness! Click photo to enlarge. Scroll down for more! Perhaps a Rousing Game of Bingo! Fun activities like, Crafts, Nintendo Wii, Bowling, Bingo, Exercise, Shuffleboard, Walking Club etc. Click on the floorplans below to download a PDF of all floorplans. Health Care – Support and Services we provide at NO ADDITIONAL CHARGE. Why choose between your budget and your safety when we can take care of both! Day to day chores such as cooking, cleaning and medication are taken care of for you, giving you more time to enjoy each day with friends and family. Your loved ones can rest easy knowing that you are safe, happy and enjoying life to the fullest here at St. Charles Village! What a View from Your Spacious Balcony! Smell the Flowers from Our Many Gardens Throughout the Property! Enjoy our beautiful grounds and gardens!